Many of us want a beautiful home just like what we see on Pinterest and in magazines. We know it’s terribly unrealistic and most likely those homes either have a live-in maid, no real people that live there, or are immediately messy after the photo shoots. But still, we spend many hours fiddling and fussing trying to make our homes more pleasing to the eye. Enter…the gallery wall. We sometimes make money to talk about certain products or company. We only talk about products we ACTUALLY really like, though. Find our full disclosure here. Gallery walls are everywhere on Pinterest and in magazines. Rows of pretty little pictures seemingly scattered about in a pleasing way or perfectly measured. Either way, it seems impossible when we try to achieve the same results. 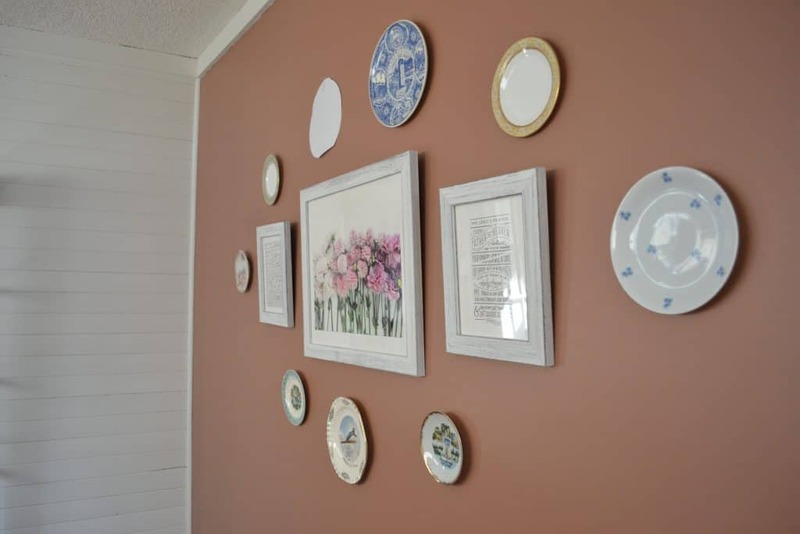 Guys, this is an easy hack to better achieve those gorgeous gallery/plate walls. As in, you will slap your forehead and be disgusted that you didn’t think of it yourself. 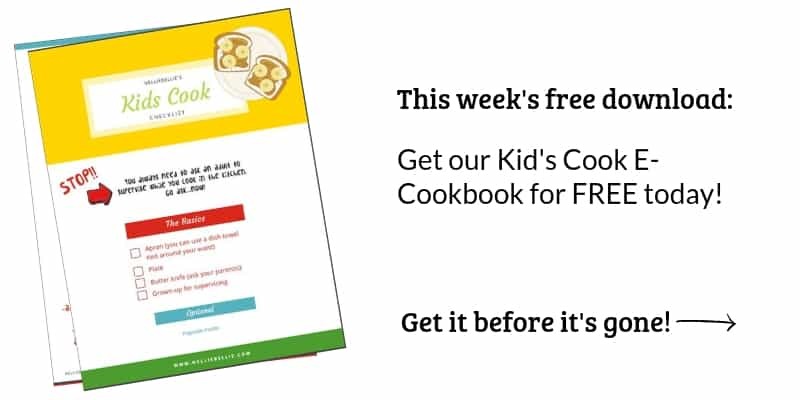 Or maybe you did and still haven’t tried it? 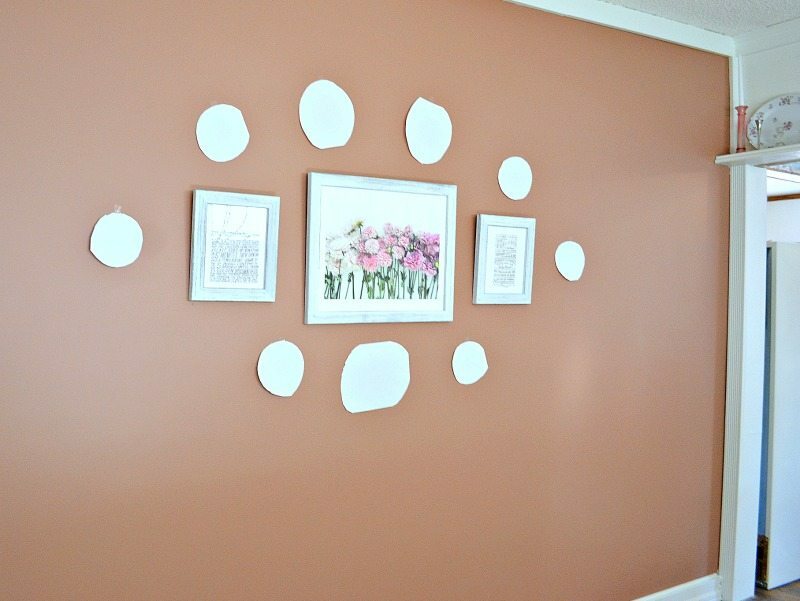 And guys, this dining room wall color is messing with me. It’s a gorgeous rose a good portion of the day and then switches up into an orangey-brown. I’m loving it and hating it at the same time. Photographing this is proving difficult! My last project, my dining room, I added a plate display around a set of fabulous prints I got from Minted.com. I wanted those prints to ground the wall but wanted to use my collectible and antique plates to help fill out the empty space around it. 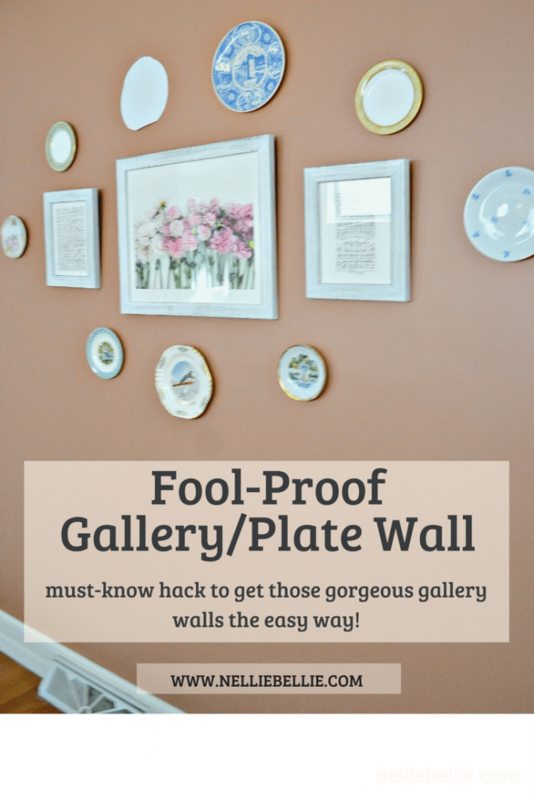 Enter…the gallery wall hack. With little work, I was able to place the plates in the way I thought looked best. And not make crazy holes all over the wall! 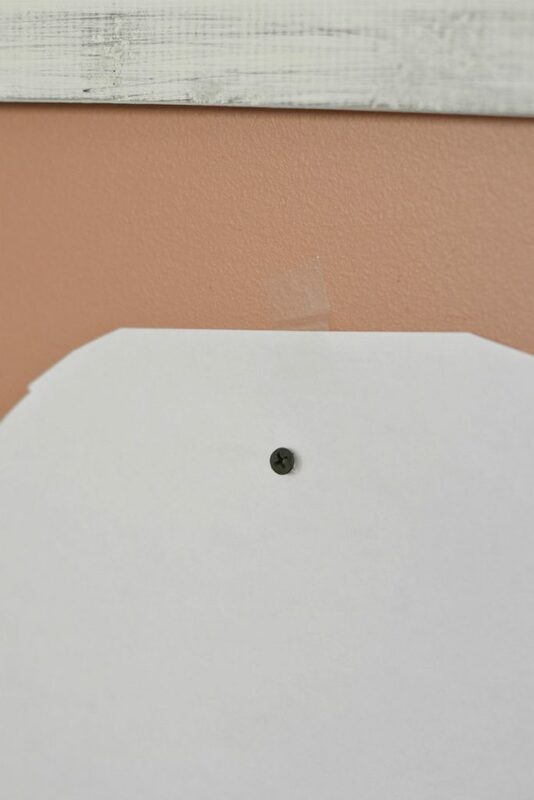 The best part, I can mark exactly on the paper where I want the screw to go (this is for those of you that are going to pull out a ruler and everything) and screw into the wall through the paper and then rip the paper off when done. Voila! If you haven’t ever checked out Minted.com for artwork, do so. You will love their prints and art. Utterly gorgeous and fantastic quality! My next want from them is one of their custom pinboards for my little home office. I love the idea of picking from their fabulous fabrics and creating exactly what I want and matches my living room. 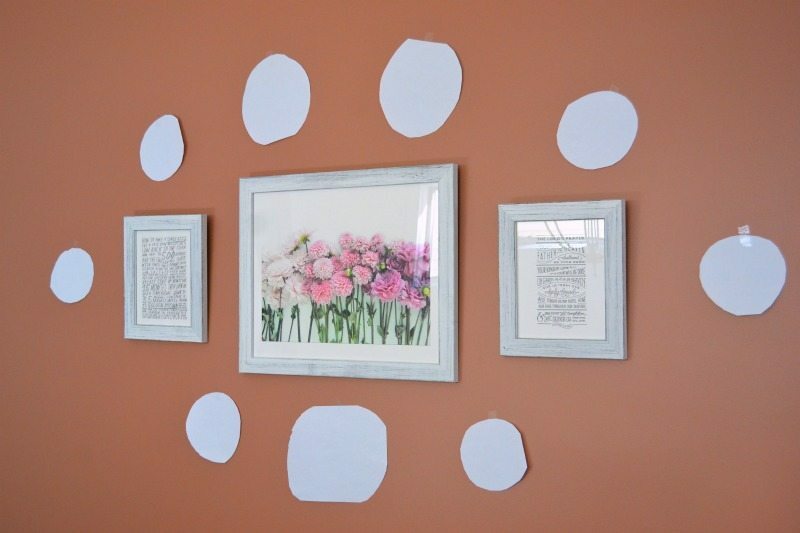 Get going on that gallery wall you didn’t think you could do. Do it! And, of course, be sure to post an image of the finished product on our facebook page (where we share YOUR home projects) and, of course, Minted.com is always interested in how you use art in your home! You can check out their facebook page HERE. Sigh, I would love to have a completely finished wall to show you but, if you look closely you can see that a plate is missing. One of my collectible blue & white plates broke in the move from one house to another and I am on the look out for a suitable replacement. Until then, that paper will just stay there as a reminder. Honestly, I wouldn’t be surprised if years go by before I realize it’s still there. You know how you adjust and get used to seeing something for so long? Yep, check back in a while and I’ll probably forget that it is even there.